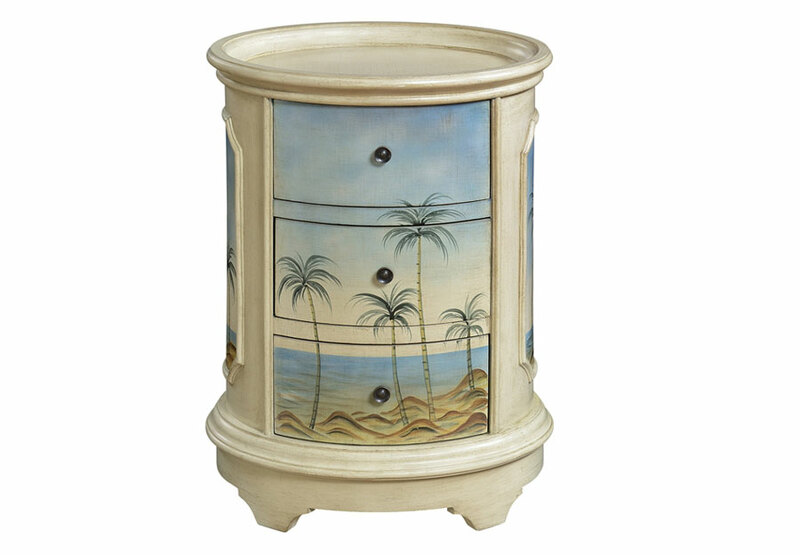 This Key Largo Seaview Chairside Table will take you away to a tropical vacation. 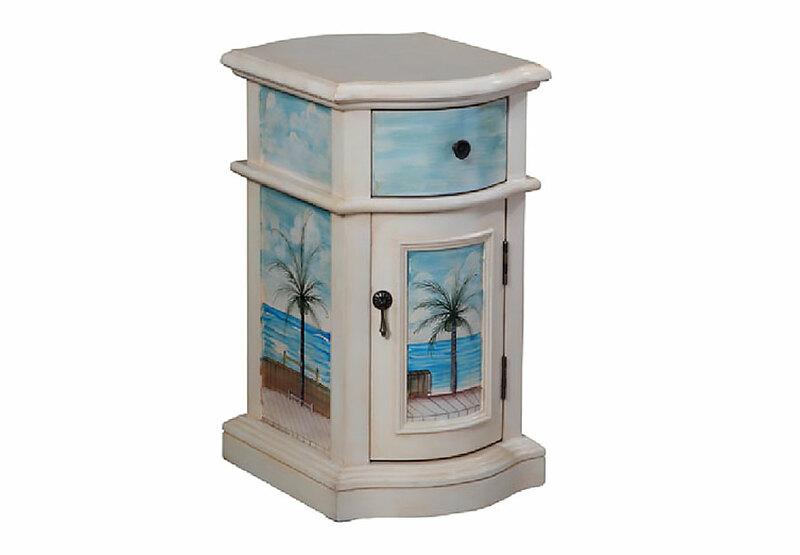 The creamy wash sets off the hand painted scenes. 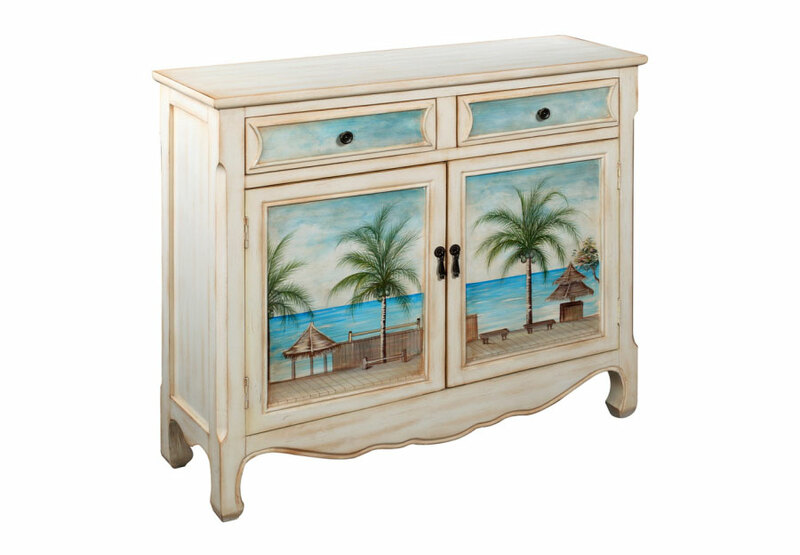 The scallop shape and decorative drawer pulls are also important details for this one drawer and one door storage accessor.